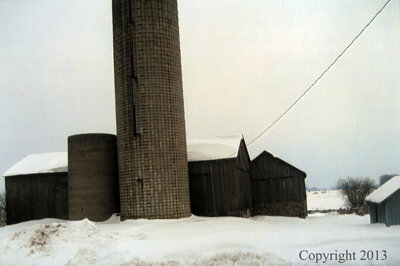 A colour photograph of the barn and silo at the Guthrie Farm in Whitby, Ontario. The barn was built circa 1840 and the large silo was added circa 1970. Guthrie Residence, 2013. Whitby Archives D2014_005_005.